At the top of the list of cheap wedding tips is cutting your numbers. It’s possible to shave up to $100 per guest off. So if you’ve got large numbers, be ruthless and think twice about whom you’re inviting – you could save thousands. It’s easy to find free or cheap wedding venues which can easily provide a personal, special and unique touch to your wedding day. If you still find you’re over budget, you need to sit down with your partner and begin to prioritize what is important and what’s not. Go through your wedding budget planner and consider every line. Perhaps you can cut back in one area so that you can splurge in your important areas. For example, the dress maybe really important to you, but the wedding favors aren’t. 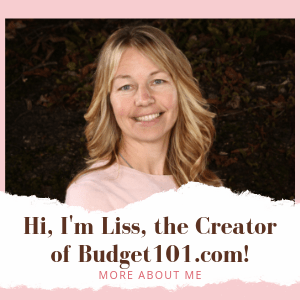 By cutting back on what you give as favors, or eliminating them altogether, you should be able to shave down the costs in the budget, hopefully to a number you’re happy with. The food is one of the largest costs at a wedding and some easy changes can make a huge difference to your bottom line. Think outside-the-box and do something different. Alternatives include high tea, afternoon tea, champagne, and canapes, only providing one meal, having a sit-down buffet instead of fully catered evening meal or even catering yourself, all these will reduce your costs significantly. Also, some high school vocational centers that teach catering to students offer catering at a greatly reduced rate, check with your local school system! Most couples get married on the weekend placing a high demand on venues. With high demand comes high prices as the venues can charge what they want knowing that the couples will pay. One way to significantly drop your costs is to have your wedding on a weekday. You could probably save about 30% on most of the services in your budget! In an ideal world, the drinks would flow freely but this is likely to be your biggest expense. If there is a bar on the premises, perhaps you could offer free drinks for just a couple of hours, set a limit to the bar budget or offer just beer and wine. My final cheap wedding tip is to try and do as many things yourself. If you have the time and energy, this is a great way to save money. By getting friends and relatives to help you, you should be able to pull in lots of services that you would have otherwise spent hundreds on. Perhaps your mum is a bit of a cook and will make the cake, the flowers could be done by your aunt and your make-up by your friend. Start asking around. Your friends will be honored to help and you’ll save a packet. By following one, two or all of these cheap wedding tips, you will certainly cut your budget. Hey, i am simpson, i really love your tips. Wedding budget is very important in weddings. If you don’t plan your wedding day, it will become a disaster. So thank you very much for listing some amazing cheap wedding tips…..
We had our wedding reception at a clubhouse in a neighborhood next to ours. We were able to rent it because I had friends that lived there. The deposit was $500 for a full Saturday (7am – 10pm), they provided seasonal decor (January), working fireplace, tables, chairs, tablecloths, a small kitchen with ovens/fridge/etc. We just had to make sure everything was cleaned up before we left. We received $400 back as we left the place in good condition. There was a small lake with a pier and a parking lot for all of our guests. I still receive compliments on the location from my wedding pictures whenever I have guests over. We got married under a big oak tree adjacent to a senior center (reception). We made meat, cheese & fruit trays (food bought at costco). Big bowls of salad and split rolls. The family got everything ready before the wedding and It was a great low key party. also we had friends offer doing our flowers as a wedding gift, and someone else paid for the photographers time as a wedding gift. When we got married it was in a church, had a cake, punch and mixed nuts for a reception then a bring your own covered dish, drinks and plates cook out later in the evening. I used my sister’s wedding dress and bride’s maid dresses. Flowers were a present from a friend of the family, had an uncle take the pictures. When we got married I made my own dress (my best friend made the veil for me!) We used our church (free as long as we cleaned up!) My Mom made the wedding cake. His Aunt Edna did the punch and other foods. His cousins took care of gifts and getting folks in and settled. All totaled we spent about $250 for my material and napkins and invitations. I totally Freak when people tell me what they are doing for their wedding! Starting out i can think of better ways to spend my money! I am really like you tips and it will help me to get some reduction in expenses my marriage. hope you will post more tips in future about lifestyle. Great set of tips! Another is to rent or borrow items – don’t buy anything new unless you have to. If you’re getting married towards the latter part of prime wedding season (after Spring or after Christmas), see if you can borrow supplies (or buy cheaply) from a recent bride. Decorations, food platters, and even wedding dresses can be borrowed. It’s also usually cheaper to rent items rather than paying full price. Rented items are usually decorations, tuxes, and tables and chairs, though wedding dresses can be rented in some areas. For a really tight budget, go for a less formal event. A nice evening gown and a suit are much cheaper than a wedding gown and tuxedo. Hey This is MommaRobin and this is my first post! I am pastry chef. One of the ways you can have a beautiful wedding cake is to go to a culinary school if you have one nearby. As part of my senior and final project we had to make a full size wedding cake. Afterwards we were giving away cake like crazy! Some of the instructors were doing a side business for the school by catering events and using them as an opportunity to teach. It was a win win for all. The cost was only for the ingredients, as the students provided the free labor as part of their class project. my daughter lives in N. Carolina, she had 5 bridesmaids who I had never seen, my daughter didn’t know their dress sizes one was pregnant(7 months along) some were tall some were short I had the Impossible job of sewing bridesmaids dresses in 1month for all bridesmaids. I didn’t know what to do! I lived in Florida. I saw an Indian woman in a sari at WalMart I asked her how many yards of material and how it’s worn, she said7-8 yards for 1 -and a tee shirt and slip underneath. A small safety pin holds sari wrapping material to tee shirt and half slip, then you wraparound with the end going over one shoulder. Then fastened with a broach or another safety pin. And there you have it, one size fits all bridesmaids dresses. I found an outlet store selling baby blue sheer material for 50 cents a yard. And white sheer curtain like material for.50cents a yard for an elegant scarf that simply went around the neck and hung down the back. Cost$30.00 for all 8 dresses, most expensive part was 5half slips and 5 mid waist sports bras $20.00 for bras, $25.00 for 5 half slips long as I could get them total cost of 5 bridesmaids dresses,$75.00 I had them not put one arm in the sports bras this left one shoulder exposed (elegant) and a wreath of silk flowers in their hair. It was Beautiful,each bridesmaids had to buy their own silver sandles,or go barefoot. Worked out great! Even the pregnant girl looked good.